GAN prepares to beat 2018 projections - Read more here! GAN is reaching new heights! In fact, the company announced that they’re about to beat their own 2018 revenue projections. As it stands, they currently power Ocean Resort’s iGaming platform. Plus, they have a partnership deal with Betfair’s Group. Taking those two deals into consideration is all that’s needed to understand how they had such a strong performance in the second half of 2018. Not to mention, their involvement in NJ’s sports betting market helped them achieve a record-breaking year. At the moment, the total figures are not all in yet, although GAN has some pretty good estimates. According to the group, they expect revenue to reach $14.8 Million! Which, is up from $11.9 Million in 2017. Also, this represents a 40% increase in the second half compared to the previous year. Without a doubt, NJ sports betting is a major contribution to GAN’s second-half of the year success. But no one can forget that the increasing popularity of online casino in NJ also helped the company! On that note, let’s check out the official word and reveal what GAN has to say about their predictions. As the company’s CEO, Dermot Smurfit said, “We’re happy with our 2018 performance. Not to mention, it sets us up for a strong 2019. We’re now at the forefront of online sports betting and the casino gaming market, so staying ahead is this year’s game plan.” Many companies are taking advantage of the booming market in NJ. Plus, as new states jump on the bandwagon, this should help tech company like GAN to increase their offering. 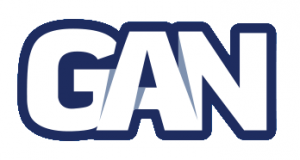 Casino platform suppliers like GAN, are responsible for inking new deals with online game providers! So this news indicates that GAN is ready to compete! And to compete well, a casino platform provider needs to offer lots of choices to operators and players. Maybe we’re on the verge of discovering new slot games thanks to GAN! Who knows? But stay tuned to see how the company’s profit will affect NJ casino players!